Winston Churchill: addressing the Commons in the chamber of the House of Lords. October 28, 1943. The growth of an ‘information age’ introduced at the latter stage of the 20th century has enabled cross-cultural integration on a global scale. The biggest product of this 'age' is the internet which gave birth to a new phenomenon of Virtual space. This presents an example of the politicisation of the Virtual world. Public spaces are increasingly leaving the public realm and are becoming privatised, changing the ways in which the public can use these areas. 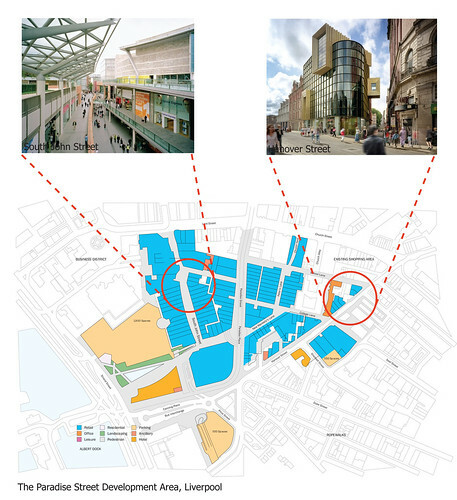 The Paradise Street Development Area, Liverpool is used to illustrate the changes occurring in city centres. Simulation of spaces essentially entails the fabrication of a false reality to spaces in order to address absent spatial qualities. Simulation is discussed in relation to Park Hill, Sheffield and its original vision of 'Streets-in-the-sky' as well as theme parks in which simulated spaces are crucial. A communal garden surrounded by housing estates in Leipzig-Grünau is used to demontrate a possible protype for creating a sustainable public space for which the residents have a responsibility. Public spaces can be appropriated to create political spaces because of their prominence and adaptability to each arising situation. Tiananmen square, Beijing is used as an example of 'public space' because it has had a long and turbulent past in which both the government and Chinese citizens have used the space for their different puposes. Gated communities are residential schemes physically enclosed and allows access only to residents. Haverleij s’-Hertogenbosch (Den Bosch), The Netherlands is used as an example of this housing typology which is increasing in use in Britain. To experience Sheffield on a personal scale we engaged in a sectional walk. Globalisation is an important factor in global politics. The growth of an ‘information age’ introduced at the latter stage of the 20th century has enabled cross-cultural integration on a global scale. Cultures have become more open to external influences not only regarding workforce but with regards to the importation of cultures, the Food market being a key example as major supermarkets now designate isles for continental foods it is also common to see a range of eateries with a continental influence. The biggest product of the information age is the internet which gave birth to a new phenomenon of Virtual space. Virtual spaces are fast becoming an increasingly influential area bearing relevance to almost every aspect of life with limited governance, autonomy or democratic order. It is a completely free market in every sense and the largest internet corporations have acted upon this recognising that information has become all powerful thus compete to become the ultimate provider through diversification. As it is impossible to make tangible virtual space the value of this place as a space is difficult to appreciate until you map its impact. Information Architects (iA)1 did exactly this by creating WebTrends3.02, a tube-like diagram that designates urban principles to the virtual world. Websites are placed on lines depending on the nature of information or service they provide. As with most urban models the city centre is an area of financial prominence, therefore the ‘CBD’ of WebTrends illustrates the most influential and financially lucrative internet corporations. It is not surprising to see these corporations (Google, MSN & Yahoo) provide a diversified range of services/information. 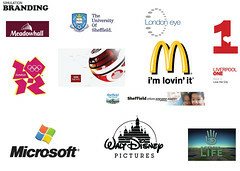 Microsoft’s MSN: At the top of the list are ‘Sponsored sites’, these are sites which offer financial incentives to Microsoft in return for virtual publication. This surprisingly puts Star Alliance (Travel Company) as second on the list despite having no relevance to my search. Reasoning: WebTrends illustrates that the money line feeds directly into MSN offering large financial incentives and in return are offered virtual presence irrespective of relevance. Google: I initially typed in ‘www.google.com’ but was redirected to ‘www.google.co.uk’. Search results returned varied results compared to MSN however, amongst the top three hits were the RIBA’s site and Wikipedia. Reasoning: WebTrends highlights the ‘Photos Line’, a line dominated by Wikipedia. There are strong collaborations between Google and Wikipedia as it is possible to search Wikipedia directly from iGoogle. Yahoo: The same search returned a completely diverse set of results from the previous two. Again Yahoo adopts sponsored sites at the top of the results. However, many of the results are irrelevant. There is no indication of the RIBA and Yahoo does not have a tailored ‘.co.uk’ domain. The only credible return is Wikipedia. We have seen through the search engine that information is not the sole determining factor influencing searches on the internet at it appears large corporations attempt to coerce users towards results that will ultimately benefit them rather than providing information sourced. The mere fact one can type a recognised word into three of the world’s most respected search engines and return a ray of results demonstrates that politics has a virtual presence. Post-industrial change triggered an evolution from an ‘industrial-based’ economy to a ‘knowledge-based’ economy which produced opportunities for new developments in former industrialised areas. These new affluent areas contrast with neglected areas within the city emphasising the inequalities between neighbourhoods. The city has developed ‘two speed economies’ of ‘hot and cold’ areas. In the hot areas, the property prices are only affordable to a few resulting in mono cultural areas (Minton, A: 2006). These areas may have greater security to limit public access as demonstrated in gated communities which have some degree of exclusivity. The cold areas are socially excluded and have greater problems with drug dealing and anti-social behaviour. Public spaces are increasingly leaving the public realm and are becoming privatised. The idea of public spaces can have several interpretations. Mostly it is considered as a space that allows public freedom, indeed, in Ancient Greece, the agora was an area where citizens came together to meet and conduct business and was an example of democracy and citizenship. However, citizenship rights were only awarded to free non-foreign men and not women, slaves or foreigners which indicates that there has always been some lack of inclusion in public space. Now, in certain city districts are being monitored and controlled by private parties. This project involves the regeneration of 42.5 acres which includes 34 streets in Liverpool’s city centre. Liverpool City Council has selected Grosvenor (Duke of Westminster’s Grosvenor Estates) as the developer for the area. New retail areas, leisure facilities, office blocks, flats, car parking and parks are at various stages of completion. Private security guards called quartermasters patrol the districts. Begging, skateboarding and rollerblading are banned. Alcohol and food are only allowed to be consumed in designated areas. Permission is necessary for demonstrations in the area. An argument in support of these developments is that private companies investing a great deal of money in an area want to protect their investment, and the most effective method of doing this is privatisation and security. Anna Minton, author of the RICS report ‘The Privatisation of Public Space’ has warned that the UK is “sleepwalking into a privatisation of the public realm”. Civil liberties group, Liberty are critical about the precedent it will set. The new development is well organised and probably well designed. However, there seems to be an atmosphere of sterility and a lack of cultural diversity. The dominant retail outlets appear to be chain stores, suggesting that smaller independent shops are on the periphery of this new shopping centre. The power relationships concerning public spaces are rapidly changing. Since the Paradise Street area has essentially become private, the power has transferred from the local authority to commercial companies. Business Improvement Districts or BIDs which operate through the payment of a levy by local businesses in order to create pleasant shopping environments, enforced this transference. These companies now have the authority to make streets which were once accessible to all, inaccessible to all those who they consider unwelcome. An extension of power by a developer and the reduction of power of the public. This creates areas where public actions are monitored and controlled which some commentators have labelled them as “malls without walls”. This disabling of ‘spatial agency’ as Lisa Findley comments, takes “away the power of individuals to determine movement through the world and to rob them of the dignity of the spatial aspect of free will” (Findley, L: 2005). Simulation of spaces essentially entails the fabrication of a false reality to spaces in order to address absent spatial qualities. The 1961 housing development of Park Hill, Sheffield sort to create ‘Streets-in-the-sky’ a new way of living to counter decades of high-rise towers with an elevated landscape. Park Hill is one of the most spectacular examples of new approaches to communal living in post-war Britain. Consisting of 995 dwellings, and housing over two thousand people, it occupies an entire hill overlooking Sheffield city centre, and is built on a slope, so increases in height as the hill slopes away. The estate consists of huge snake-like blocks which contain the duplex apartments and the estate's famous 'streets in the sky', (based on the Smithsons' Golden Lane Housing plan of 1952), a bold attempt to preserve the communal benefits of street-life. A major criticism of post-war housing developments was that the community feel of terraced streets were lost, in an attempt to recreate this desire Park Hill included wide access decks (typically 3.7m) outside apartment doors on every level, these elevated walkways became a linking element between different blocks throughout the entire scheme thus providing a network of ‘streets’. These ‘streets’ were intended as a point of social interaction between residents but failed to deliver such qualities, rather they became a haven for muggings offering escape routes on a number of levels. Although community provisions were incorporated with a school, shops and other amenities the organic street interaction the architects had hoped for failed to materialise. When compared to Le Corbusier’s streets in the Unité d'Habitation, Marseille these ‘streets’ were enclosed whereas Park Hill’s were opened on one side making them susceptible to the Yorkshire climate. Architectural spaces can evoke emotions and recall memories and associations. They can be designed to produce these effects in the public, to immerse them in a world that the architect has created. Apart from entirely simulated architecture which exists in video games and online experiences such as Second Life, one of the best examples of this is the amusement park. The entire concept of going to the theme park is to escape the problems of everyday life and engage in a virtual world of fun and excitement. The amusement park and theme park are very persuasive architectural forms. 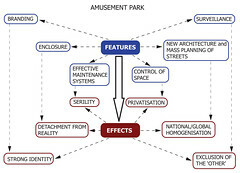 Their influence has spread throughout the world into different spaces such as shopping malls, Las Vegas casinos, restaurants and I would argue that newly regenerated areas employ devices used in theme parks: Liverpool 1, Elephant and Castle Regeneration project, Thames Gateway developments and Sheffield City Centre. These developments present clean, ordered areas inhabited by the well behaved public. They create a sense of place. They start to become indistinguishable from normal life. Therein lies the problem; where a simulated reality becomes confused with reality, the social, political and economical factors of the everyday become detached. Scott A. Lukas refers to theme parks as; an oasis, land, machine, show, brand and text. Below, these titles have been applied to these three examples, Disney World, Las Vegas and Barking Riverside development. This indicates how features exhibited in a theme park have been appropriated into real life architectural spaces. Oasis: Creates a haven away from the worries of the real world. Land: Distancing customers from the general public by using payment as a barrier. The company has enclosed a huge area of land to distance their ‘world’ from the real world. Customers experience different places, different times and different realities within the same space. Machine: Display of technology through rides, rollercoaster and entertainment. Show: Presentation of events to attract visitors. Brand: The Mouse, The Castle, The Name. Text: Strong undercurrent of symbolism. The imagery employed in the park reminds the visitors of past Disney experiences and is a constant reminder of merchandising. Disney World is a fantastic model for product placement. Oasis: City designed to make you forget. The visitor is bombarded with flashing lights and moving screens displaying invitations and advertisements making it extremely difficult to remain grounded. This may contribute to reduced inhibitions and increased spending. Land: Architecture is used to imitate different cities (not unlike Disney World) allowing ‘conceptual travel’ (Lucus, S: 2008) where visitors can experience stereotypes of other cultures. Machine: Employs new technologies within media devices such as lights, screens and videos. Some technology based companies have moved to this city because of the amount of opportunities it provides for new machinery. Show: A play to entice the punters. Brand: Themed hotels and casinos e.g. Caesars Palace and Binion's Horseshoe Casino. Text: All the above devices are used to encourage tourism and consumerism. Oasis: This example is less about themes as demonstrated in the previous two examples, but more about creating a vision of a better way of living. 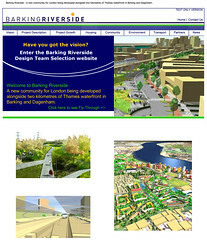 An advertisement for the area could be “this new development is adjacent a river, the housing is dispersed between greenery and parks and all within commuter distance of London”. Land: This housing scheme, being detached from London, and being completely new, creates a new community and neighbourhood. Machine: Technologies are being displayed in the buildings themselves with a concern for energy saving and efficiency. Show: Attracting potential buyers using seductive advertisement. Brand: Creating associations with the new development with ideas of modern living. Text: Similar to branding in using computer generated imagery on the website to suggest clean, well maintained dwelling environments. The brand is vital for amusement parks as well as housing developments. They may include corporate symbolism and ideology and experiences associated with that brand. In the case of Disney Empire, the Mickey Mouse or the castle symbol bring up memories of decades of films, animations and vast legions of merchandising about their fictional world of wonder. Regeneration and housing developments initiate their own brands for a similar ends, to create a vision a new, better, progressive ways of living. These places exercise great control over the environments, their workers and the public to protect this vision. Those who are seen to subversive such as ‘loitering’ young people and the homeless are moved on just as those who misbehave in an amusement park will be escorted out. An effective communal area involves the joint ownership of an area to create a sustainable environment for the use of all residents and the general public. Cet-1 developed a prototype to address the issue of rapid demographic change within residential neighbourhood where 43% of residents are over the age of 56. A site provided by a demolished housing block was recycled into a series of garden spaces. The concept was to create and alternative to the anonymous public spaces which are expensive to maintain and for which the residents have no responsibility. The main targets for the design were the elderly and families with young children since in the parks in the area do not have good facilities for them. The group created co-operative identity instead of a cooperate identity. They involved the residents in the design process by having weekly meetings to discuss the progress of the project. The project has many official partners and it has received government and private funding. The residents did not agree with having individual plots, as proposed in the first scheme for the site, but instead favoured a communal garden which allowed them to have collective control over what occupies the site. The timber colonnades are constructed from prefabricated timber frames designed to be erected by two people. These run the length of the garden provides the structure for the space. By using creative participation, the architects and the other partners were able to create a sustainable environment to be utilised by a variety of users. The evolution of a public space into a political space can be quite sudden. It can be an immediate reaction to a national discourse, a display of opposition or a planned celebration. These spaces are marked by their prominence and adaptability to each arising situation. A powerful example of the public and the government’s appropriation of space is demonstrated in Tiananmen Square. ‘Zero’ became Tiananmen Square, the birthplace of the People’s Republic instead of the throne hall in the imperial palace which increased the political connotations of the square causing the area to become predominantly political rather than public. An architectonic embodiment of political ideology (a conceptual sphere of public discourse). An architectural site activating political action (David M. Henkin). Public spaces can exhibit both these definitions of political space. In the case of the square, governmental authority is present and is visualised by the large portrait of Mao Zedong and the memorial hall dedicated to him, sculptures and mass military parades. The square itself is boarded by five large national monuments enforcing it’s cultural importance; Tiananmen, Chairman Mao Memorial Hall, Monument to the People’s Heroes, Great Hall of the People and Museum of Chinese History. 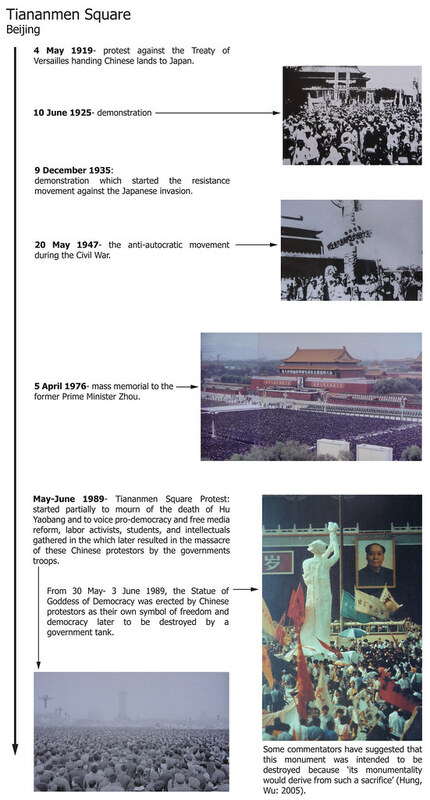 Mass movements demonstrated in Tiananmen Square have become milestones in Chinese history, and world history emphasising that this is a space where citizen’s voices can be heard. This also indicates the square’s ability to be transformed. Today, ‘soft’ installations are constucted for political occasions. Water jets are hidden underneath the pavement awaiting special events, lawns and flowers can be temporarily installed. These devices are transient and have little meaning and can be used to depoliticise the square, to limit Chinese citizen’s demonstrations in opposition to government policy. The entire area can be fenced off to the public at times of civil unrest. Police patrol the square both overtly and secretly, with plain clothed police mingling with the citizens. With the constant feeling of being watched, the public can have no real freedom in the square. Art projects react to the depoliticising of the space by invoking memory of past events and imagination. Performances and imagery has been used to comment on government, or voice opinions in the absence of demonstrations. Gated communities are residential schemes physically enclosed by walls, fences, vegetation or water (to name a few methods of separation). Such developments restrict access to residents requiring either a key fob or electronic identity card for entry, this not only restricts access to homes but also a range of amenities enclosed within the development. Such communities range in terms of positioning within the urban structure and size. Such communities were introduced in the United States in the 1850’s as estates for wealthy families, the first recorded being Llewellyn Park in Eagle Ridge, New Jersey. Traditionally gated communities were located on the fringes of the city which allowed them to vary in size; Leisure World in Orange County, California is a gated community containing 21,000 homes3. When located on the periphery of cities the social implications of such communities were minimal as they are not too dissimilar to many suburban communities already in existence on the edge of cities. However, recently gated communities are beginning to emerge within cities resulting in awkward juxtapositions when developed adjacent existing social developments thus instigating social hierarchy. In dense urban settings gated communities are often missing the element of community offering little in the form of shared amenities. Haverleij is a semi-gated community located in open fields on the outskirts of Den Bosch, bus routes to the development from the city are scarce and infrequent. Considering this, it is inconceivable for residents to survive without a private vehicle as there are no public amenities existing on the development. The development comprises 10 fort-like castles each functioning as an individual gated community. The only exception being ‘Slot haverleij’. With the majority of castles the apartment’s external wall define the perimeter however Slot Haverleij operates as a small settlement with a large buttress wall. Inside Slot Haverleij are many streets flanked with housing but also a school and other community facilities. This development is essentially a gated community without the original principles of such communities. With this development the walls and electronic gate are merely a security measure separating this development from the neighbouring social housing estate. To experience Sheffield on a personal scale we engaged in a sectional walk. This method of walking offers the opportunity to look into two types of politically-influenced housing developments looked at in this research topic. These types are: Privatised spaces and Gated communities. By intentionally taking a section line that bisects such spaces we could investigate the (in)accessibility and thus openness of such spaces.